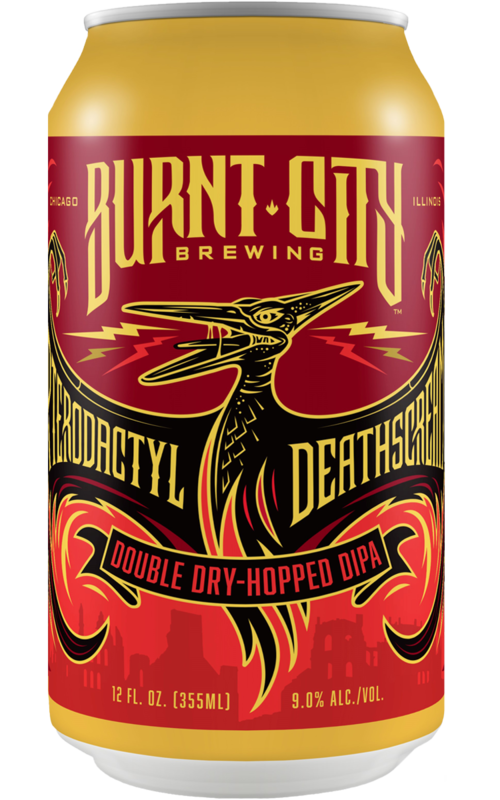 Pterodactyl Deathscream is available November – January in 12 oz cans and on draft in 1/6 bbls. Just as the mighty pterodactyl evolved into the American bald eagle, our favorite double IPA has evolved over the years into its current form. Pterodactyl Deathscream is full of late-addition Citra and Ekuanot hops. More of these, and Simcoe as well, are added as dry hops during active fermentation and again at the end of fermentation. It’s juicy tropical hop goodness screams in your face. Pterodactyl Deathscream is the perfect high-gravity, boozy delight you need as the weather gets colder. And, let’s be honest, this 9% ABV is going to make any holiday family gathering a lot smoother. As the first of our canned dinosaur offerings, it’s much easier to introduce to your parents than the Tinder schmuck you’ve been seeing for 2 1/2 months. Just avoid that awkwardness and sail through winter on the wings of this prehistoric chariot.